In this week’s episode of Warrior of the Week, TickPick is proud to highlight Mike Soucy from Massachusetts. We are incredibly grateful for Mike’s service in the U.S. Air Force and couldn’t be happier to honor him as Warrior of the Week. This Sunday, Mike and his daughter, Amber, attended the Boston Red Sox vs. Tampa Bay Rays game and were able to see the Red Sox come back to win 4-3! Mike: Growing up, I wasn’t planning on joining the military; I realized that my path was chosen for me when the draft was announced. Two weeks before my 19th birthday, I went to my local Air Force recruiter’s office and began the process. I tested well in the electronics field (with no previous experience!) and was on my way to Basic Training a few weeks later. After 9 months of in-depth schooling and training in Denver, Colorado with eight college and technical school experienced classmates (I was right out of high school) I graduated and received orders for RAF Lakenheath in England. It was the start of a 3 and a half year tour of duty where I put my schooling to use on the Weapons Control Systems radar of our country’s F-4d Phantom aircraft. I was chosen for duty within the Weapons Control Shop, where the aircraft radar components were brought in for testing, repair, and resent back to the F-4’s. I often found myself in the rear cockpit of the jets quite often, where the equipment would be put to actual flight testing; I was proud of my work, as I did feel like I was accomplishing a major role in the war effort. 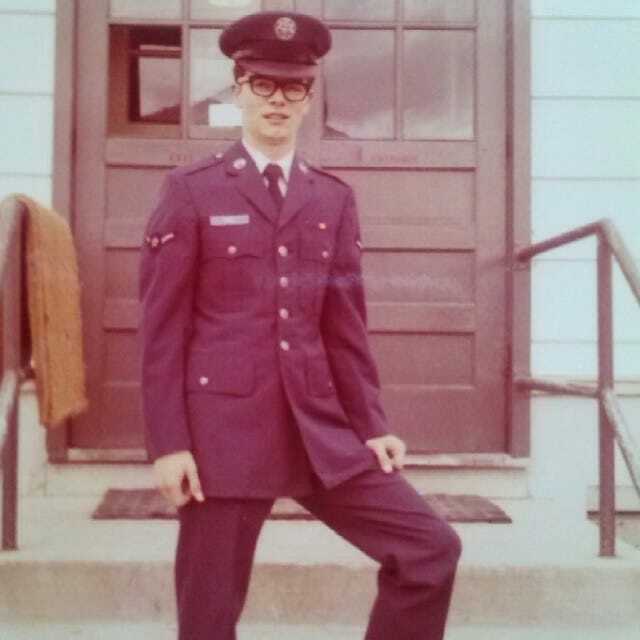 After discharging from the Air Force in 1974, I ended up joining the Air National Guard the following year. I spent a year in college further pursuing the electronics field, and wanted to return to the military life I had so become accustomed to. I spent the remaining 12 and a half years of my service working on the A-10 Thunderbolt aircraft, making trips both stateside and to Turkey. My wife Helen an d daughter Amber were my biggest supporters during this period, as my parents and sister were as well during my active years. Although Amber was just 2 and 3 years old, I always managed to call back home to speak with her wherever I went on a trip. Oftentimes, it meant walking over a mile, sometimes further, to reach a phone to place the call. Hearing their voice kept this G.I. going. Regardless of where you are stationed, not being with your family is tough. I couldn’t have gotten through those times without the support of my family!